Xiaomi is officially announcing the Mi Mix 3 next week, and the company's teaser campaign for its next flagship smartphone is now in full swing. It's already revealed that we should expect the top version to come with a whopping 10GB of RAM. 5G support should also be in, in some form or another. Today the company's product marketing director for mobile phones, Zhi Zhiyuan, has outed another tidbit. 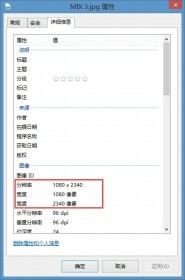 The Mi Mix 3's screen resolution will be 1080x2340, making for a 19.5:9 aspect ratio. Unlike other handsets advertising that resolution, here you'll be able to take advantage of all pixels, since there's no notch at the top - the Mi Mix 3 will have a slider mechanism to bring up the selfie camera. 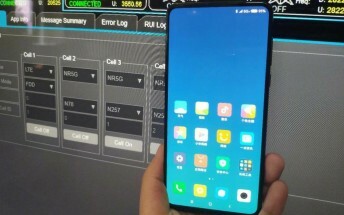 Once again the 10GB of RAM has been confirmed through the image on the right above, which shows a screenshot of the phone's multitasking screen with memory usage details in the top corner. This will thus be the first smartphone to sport so much RAM, unless Oppo manages to launch the 10GB version of the Find X sooner.